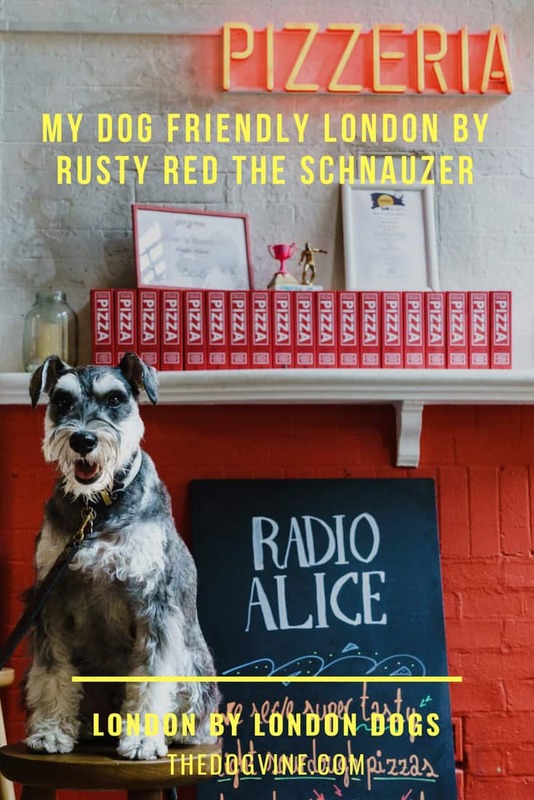 It’s back to the East side of town for this week’s My Dog Friendly London – London by London Dogs feature with local four-legged restaurant connoisseur Rusty the Red for his dog friendly Shoreditch and Hoxton tips. Rusty is a dog in the know this side of town especially if you’re after some vegan restaurant (and recipe) tips. I’m Rusty Red, you can find me on Instagram as RustagramRed. 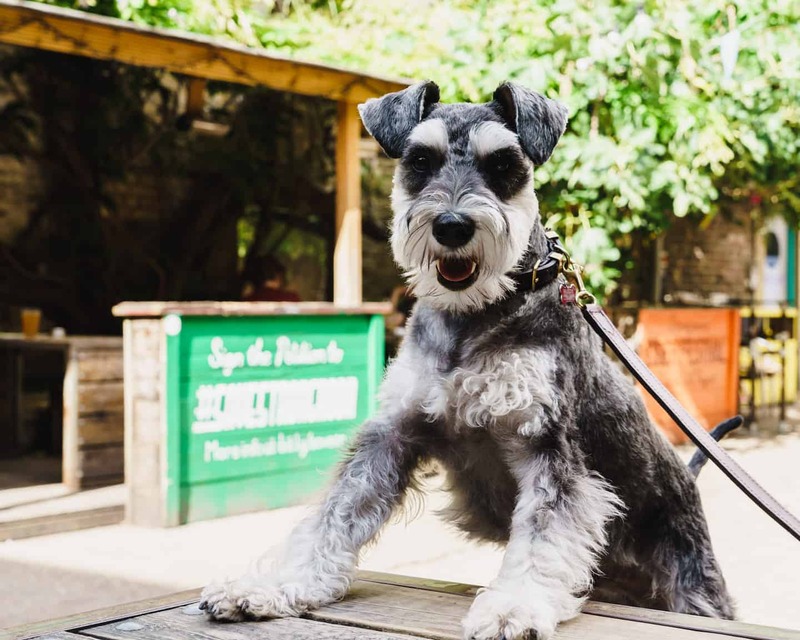 I’m 1 year and 8 months old and I live in Shoreditch with my parents Tam and Seb. What’s your favourite London Park and why? Victoria park as it’s a short bus ride away and I love travelling on the bus. The park is very large with lots of different areas for me to sniff and explore and there are always plenty on my dog friends who hang out there too. I have been living in Shoreditch my whole life and love every second of it. I love going out and exploring every dog-friendly venue available and attend as many dog events as I can, as I love to do my bit for charity. 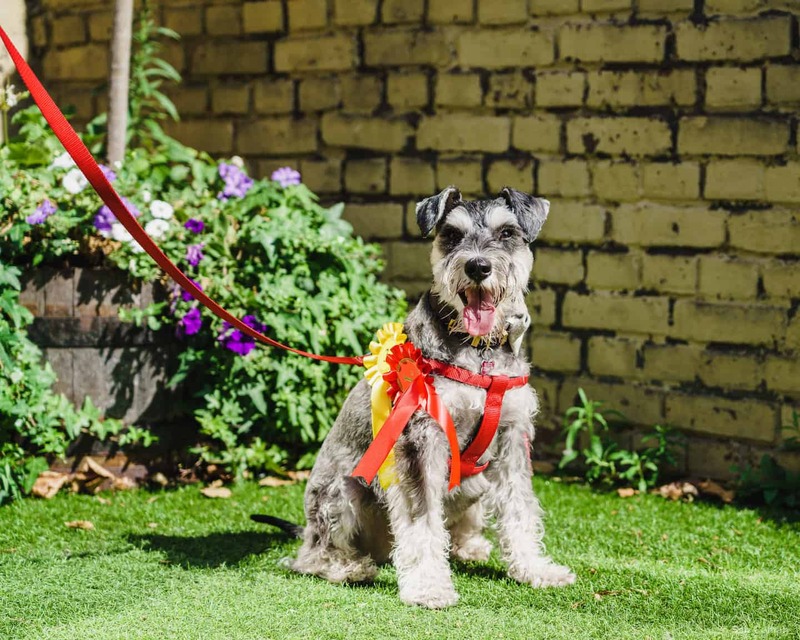 I recently came 1st in a charity dog competition for having the waggiest tail as I am such a happy dog and really wanted a rosette to display at home. I love both humans and dogs equally and am happiest in big groups. 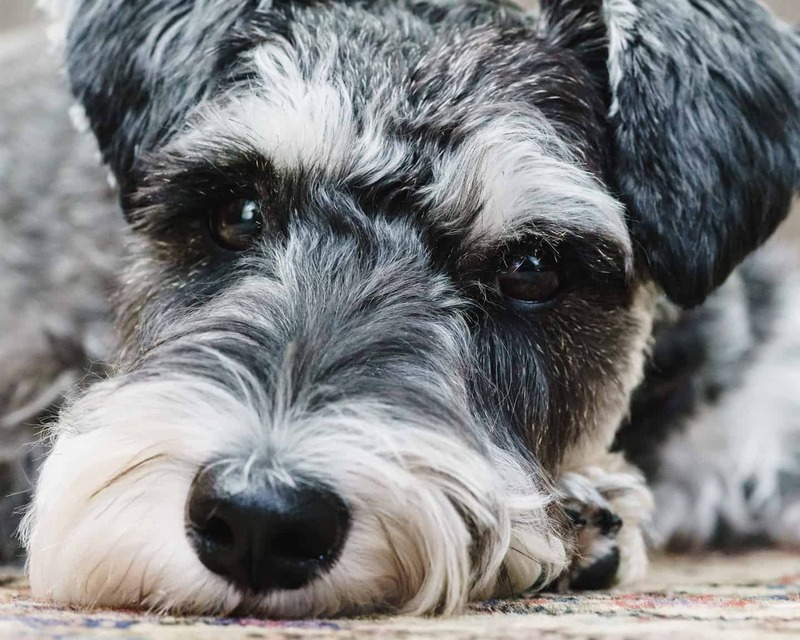 I am however a very quiet dog, so you will rarely hear me bark. 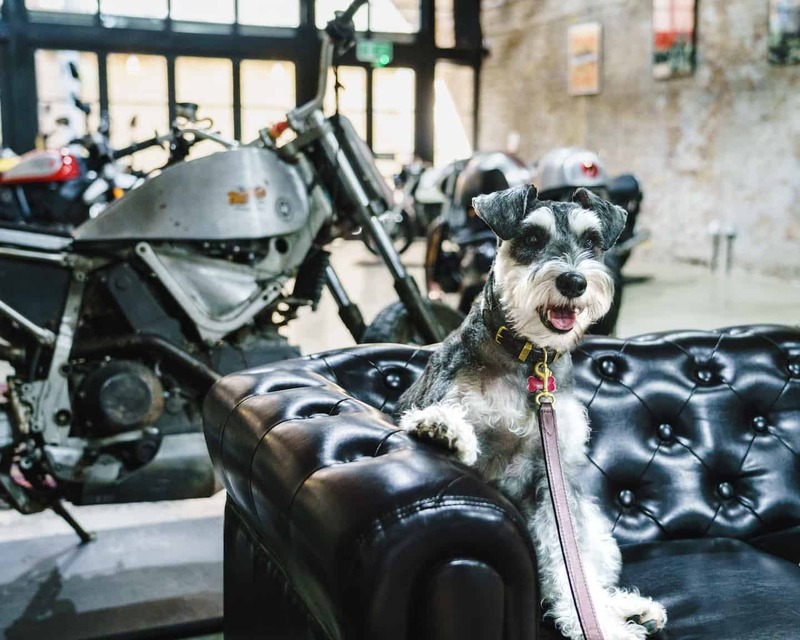 Why do you like The Bike Shed / what makes it special as a dog friendly venue? 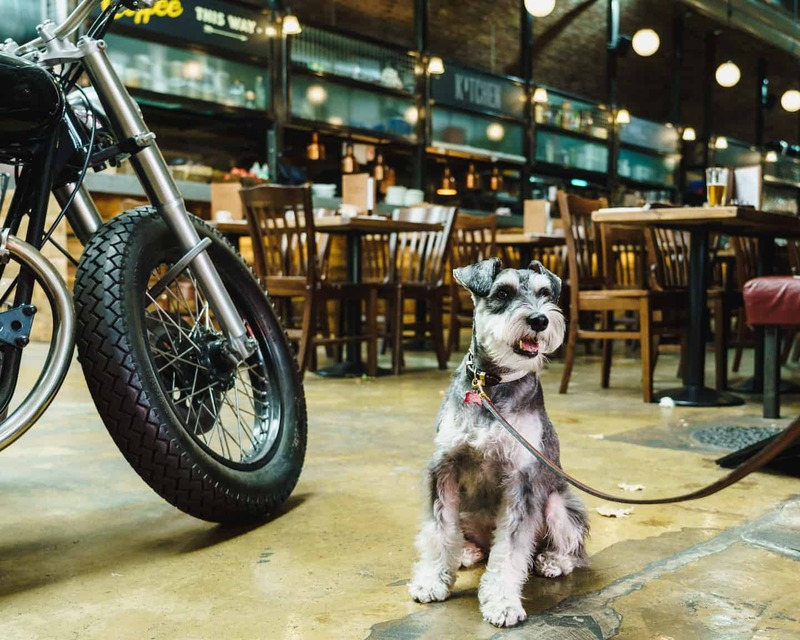 The Bike Shed happily allows me and my dog friends inside the restaurant and also outside on the terrace. All the staff love it when I visit and always come over to greet me, give me lots of cuddles and play. I also get a big bowl of water on arrival. I love visiting, as the Bike Shed is so unique and I get to see all the bikers come in on their motorbikes to park up which keeps me entertained. There is also a motorbike shop where I can explore. Any top tips for the venue? Pop in for lunch on a nice sunny day and enjoy the uniqueness of this place. (We agree Rusty, The Bike Shed is one of Belinha’s top tips too). 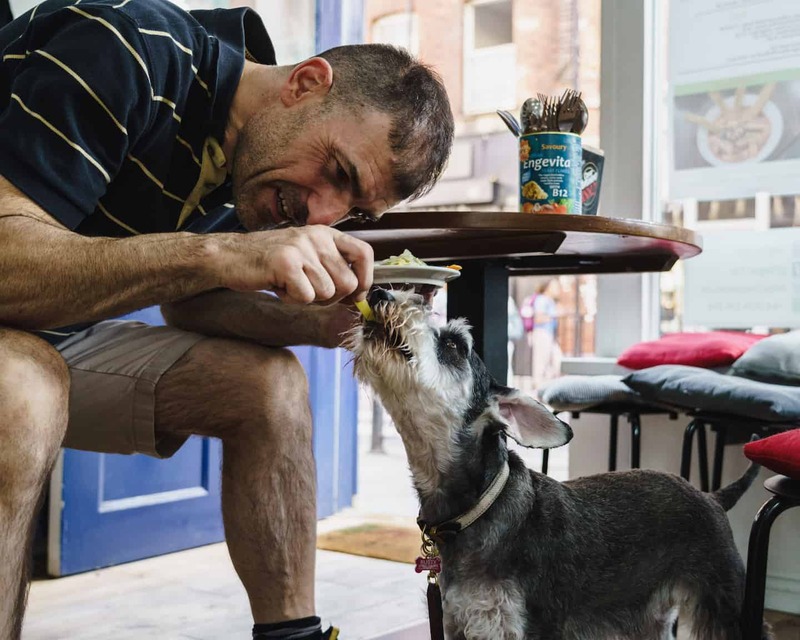 Why do you like Visions Canteen / what makes it special as a dog friendly venue? 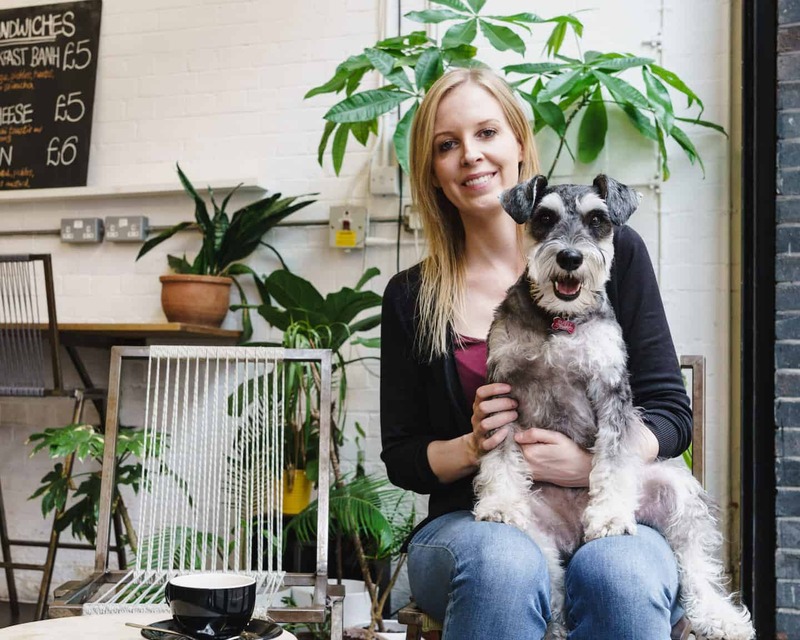 This is a dog-friendly, hip Shoreditch cafe. Their coffee and cakes are delish and there is always a very chilled and relaxed atmosphere here. The large french doors mean that I can sit outside-ish and watch the world go by. Great after a stressful morning sniffing around the streets of London. This venue shuts at 5pm so I come here during the morning or lunch time. 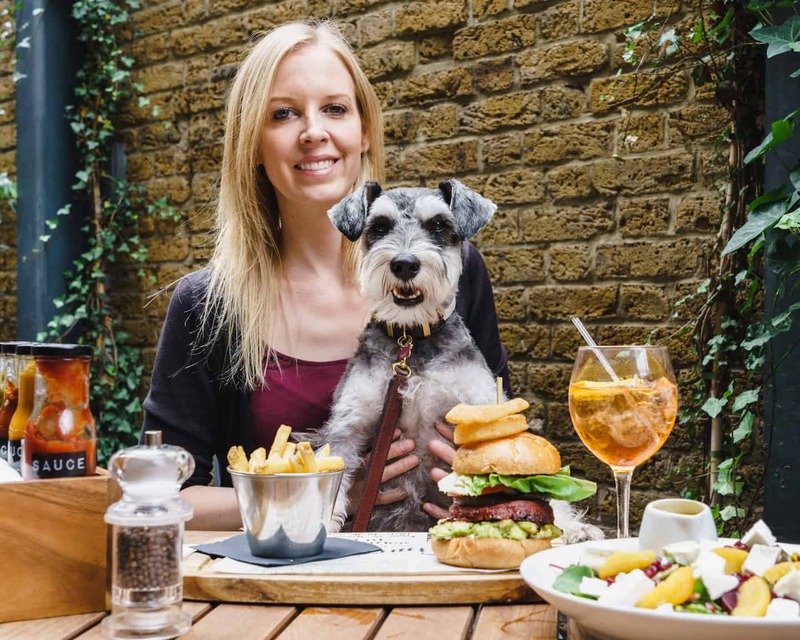 Why do you like the Strongroom Bar & Kitchen / what makes it special as a dog friendly venue? This is an indoor and outdoor bar and restaurant. The outdoor bar is fantastic and is situated in a beautiful courtyard. There are many wooden benches with shaded stalls to enjoy a cold beer and even deck chairs on hand to relax on when the temperature is right. 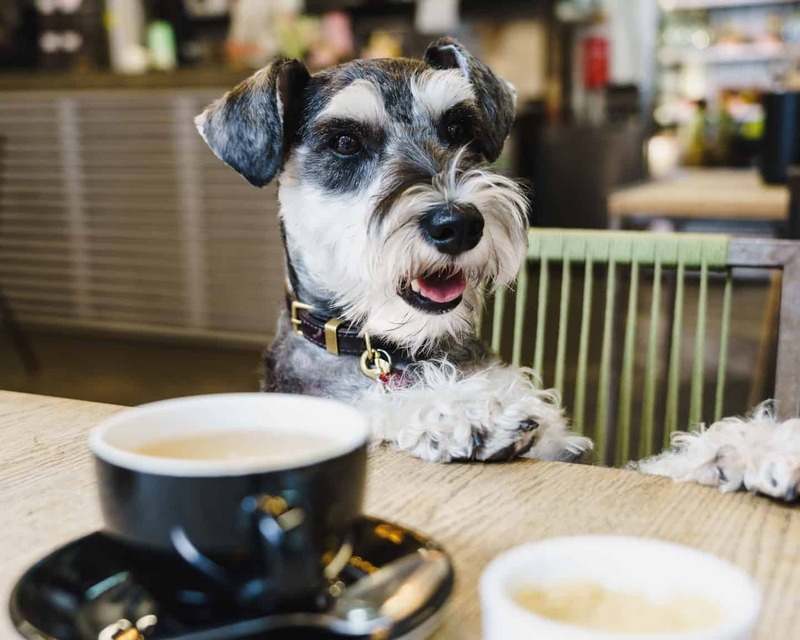 The place is buzzing after work and a great atmosphere for a social dog such as myself. Get there early after work to get a good seat in the popular courtyard. 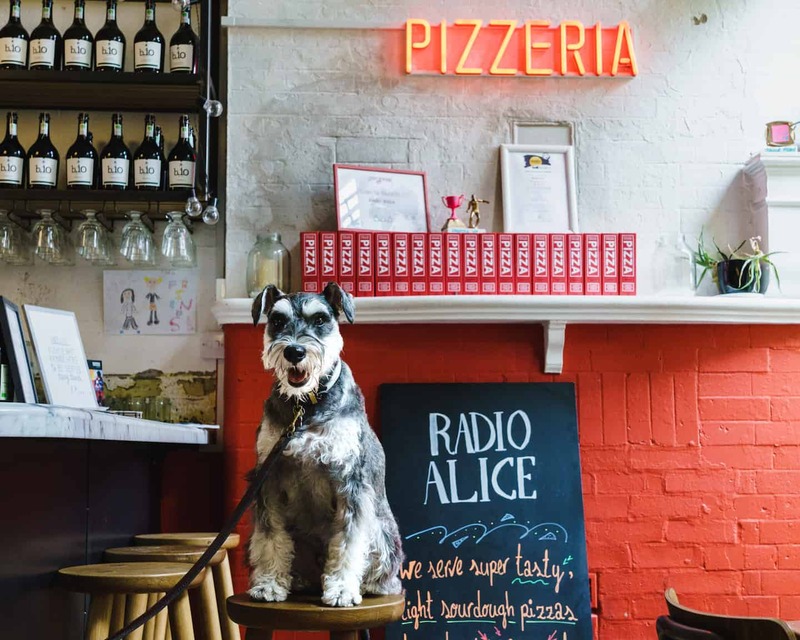 Why do you like Radio Alice / what makes it special as a dog friendly venue? I went there for lunch with my pawrents and was pleasantly surprised to find out that they are completely dog friendly, indoor and outdoor. The outdoor terrace is super cute and the team were so friendly and couldn’t get enough of me. Water was supplied to me on arrival. The pizza was amazing and the venue location is perfect, as it is situated directly opposite to Hoxton Square park which meant I could go there after my lunch and stretch my legs. 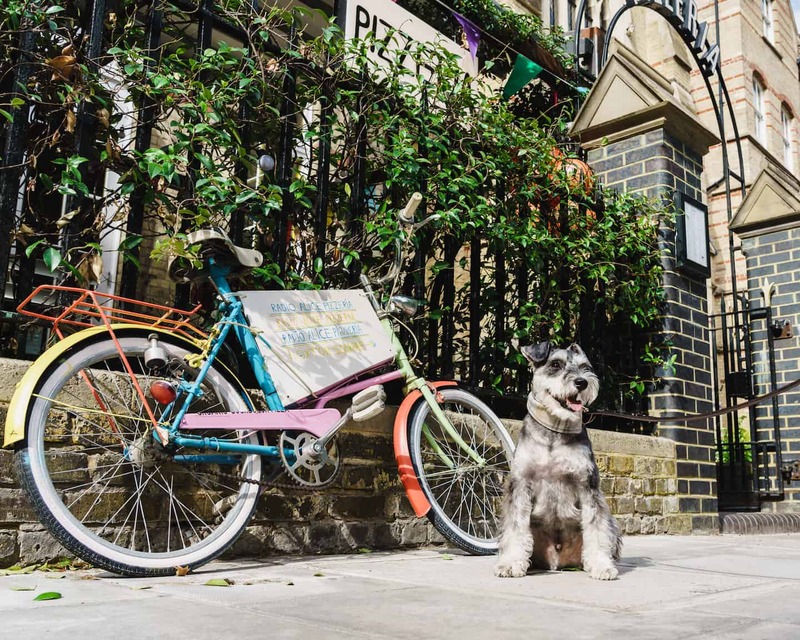 Great to sit out and eat your sourdough pizza on the terrace and try to leave enough time so you can to spend a bit of time in the Hoxton Square park where there are usually other dogs on their walks. .
Why do you like Vegan Yes / what makes it special as a dog friendly venue? Vegan Yes serves organic vegan food, made from the fusion of Italian and Korean cuisine. 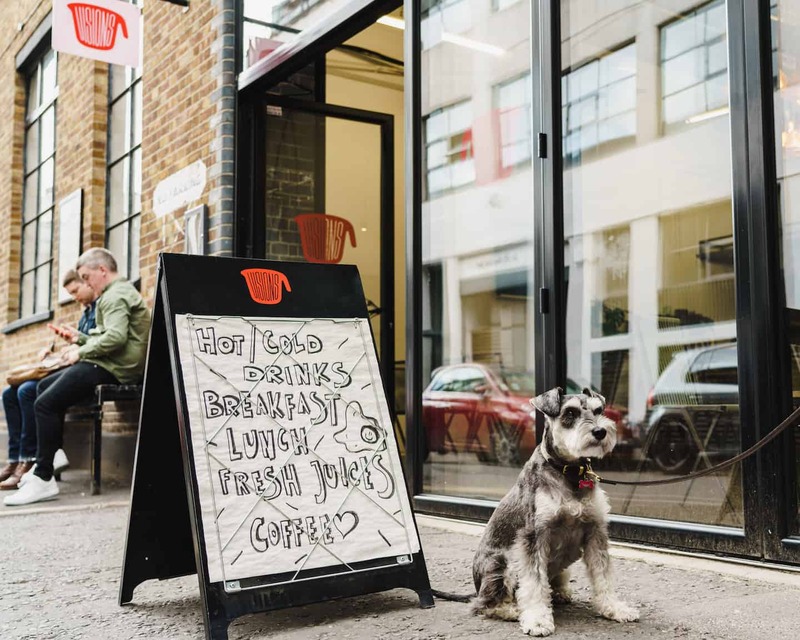 This cafe/restaurant is situated in the heart of Brick Lane and is completely dog-friendly. The owner is always happy to see me and has water and a kimchi snack ready for when I show up. 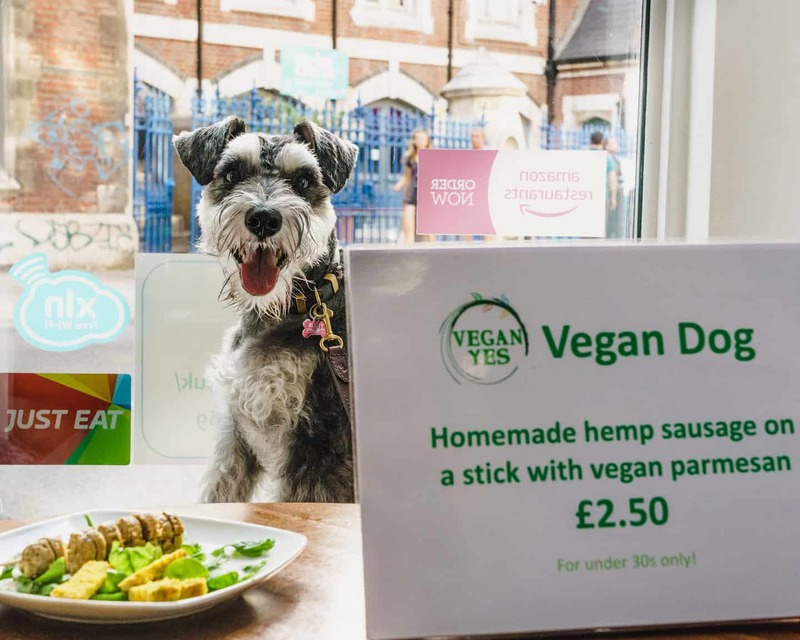 The food is tasty and healthy and I am happily a vegan dog when at this venue. 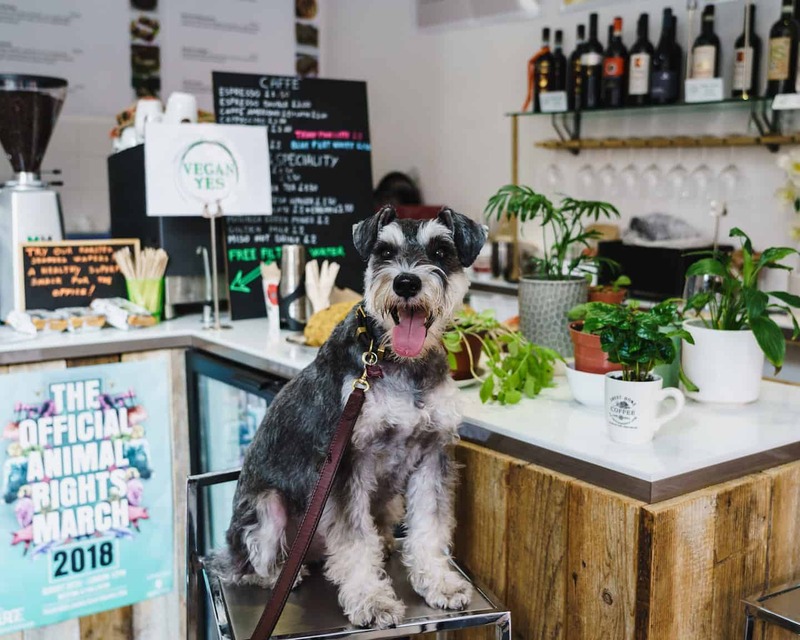 Any top tips for the venue: Enjoy a healthy vegan lunch and free kimchi is available for all my dog friends around London. 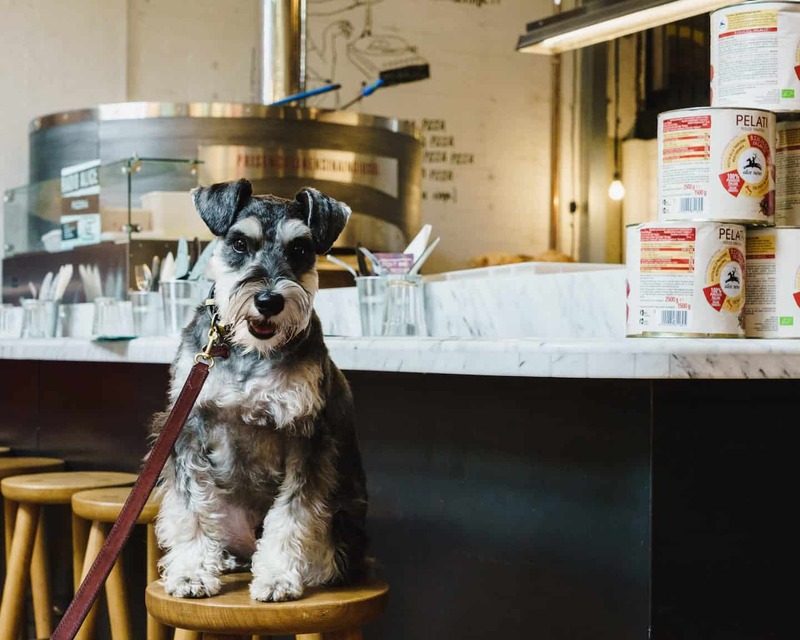 Thank you Rusty for sharing your top tips to dog friendly Shoreditch and Hoxton, there are some mouth-watering places on your list! Don’t forget to keep up with restaurant connoisseur Rusty the Red on insta to see where he’s off to next. All photos courtesy of the talented Seb Coman who whips up a mean vegan recipe as well as fabulous photographs – see @sebcoman. 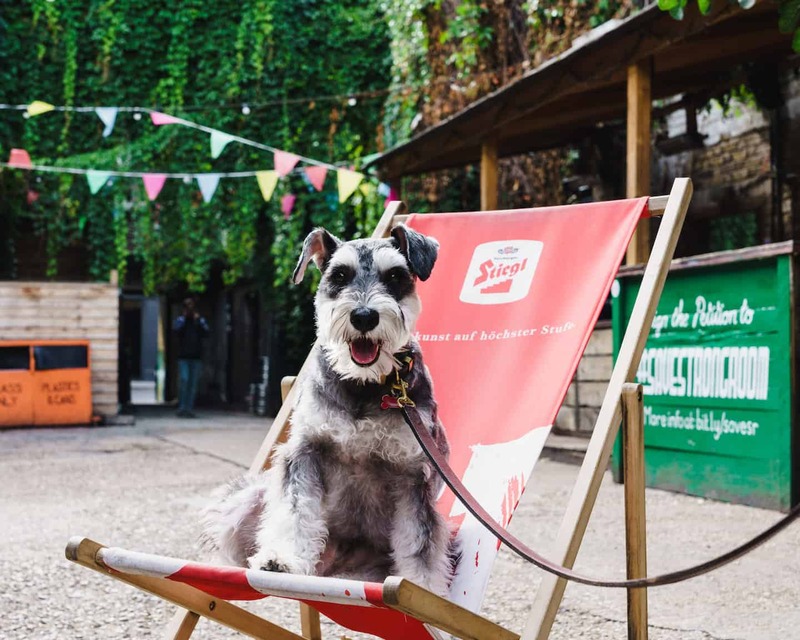 Catch up with the last episode, My Dog Friendly London by Lyra the Malinois | Dalston and Hackney in case you missed it. 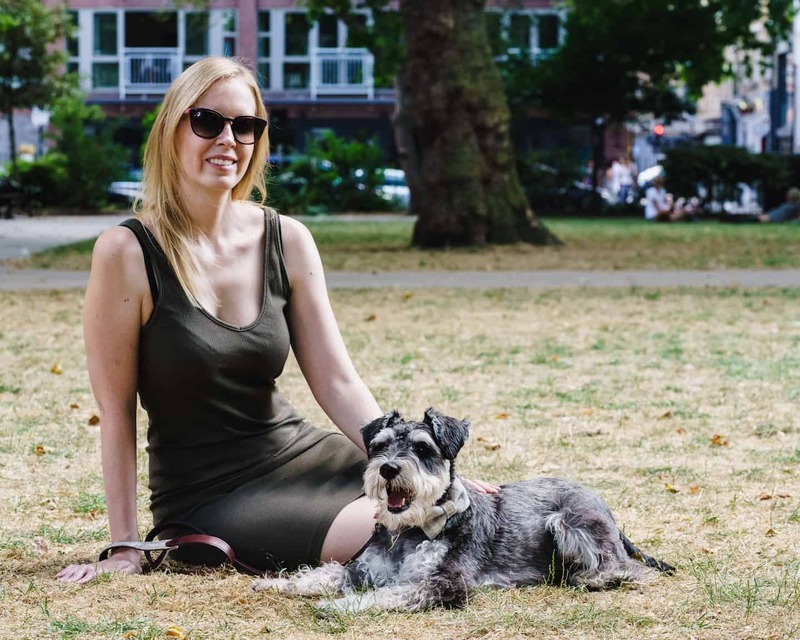 Give us a bark (or get your human to send an email) if you would like to be the face of a future My Dog Friendly London mini-guide! 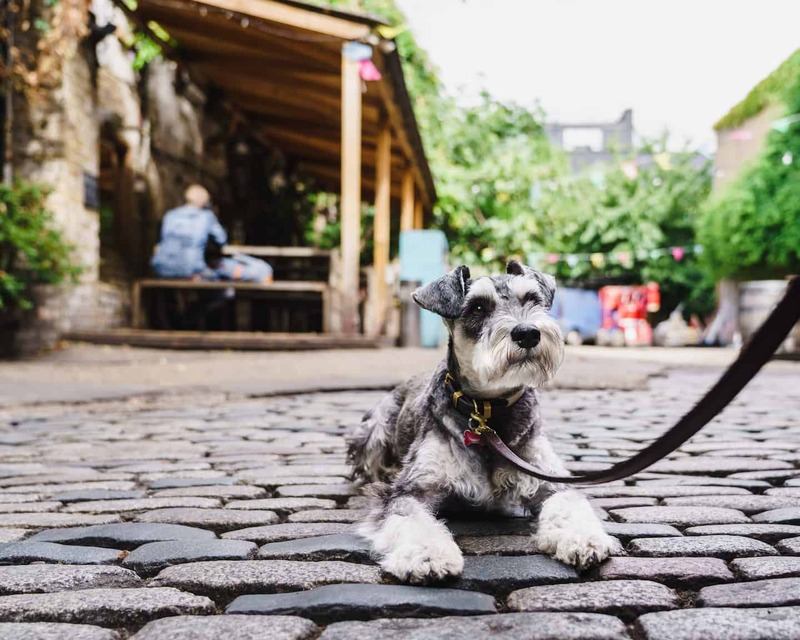 Don’t forget use the hashtags #mydogfriendlylondon and #londonbylondondogs to join in and share your favourite dog friendly spots with us and other London pups. 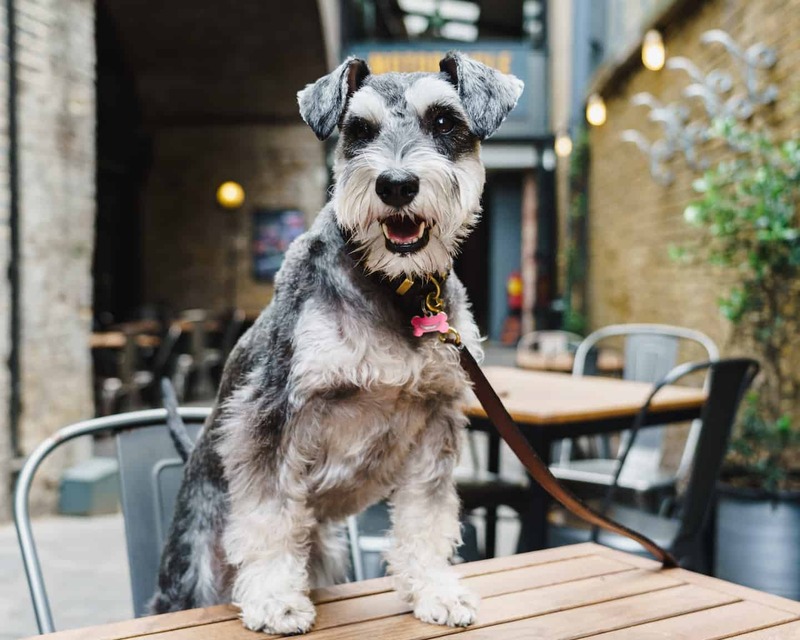 We’ll be back in a few weeks with the next episode and more top dog friendly London tips from London Dogs! A fab guide from Rusty!